Carol has been Chief Executive Officer of Bradford Diocesan Academies Trust (BDAT) since April 2014 overseeing the Trust growth from a three school MAT to a Trust of 17 schools by the end of 2018. Carol has also supported the set-up of a Diocesan MAT in the Richmond area of North Yorkshire, acted as a Trustee on the LEAF Academy Trust board to support their re-brokerage in to Abbey Academies Trust and is a Trustee of New Collective Learning Trust, a new sixth form Trust based in West Yorkshire. 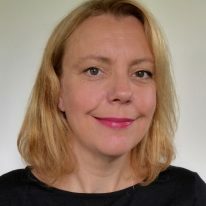 Carol’s work for BDAT also enables her to support a number of regional and national initiatives, such as participating as Bradford representative on the West Yorkshire Strategic Partnership and sitting on the local schools forum. Carol is a political science graduate from Leeds University and Chartered Marketer. Carol has worked in a number of public sector roles delivering project work across different areas of the children’s workforce from early years, social work and integrated working (every child matters). 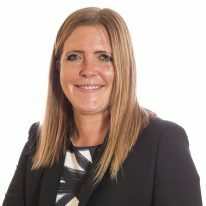 Carol previously worked as a team leader in the Academies programme at the Department for Education covering Yorkshire and Humber and the North West. Damian joined BDAT in September 2017 having previously been the Development & Standards Officer and central team lead for a similarly sized faith based Multi Academy Trust. He divides his time between being Deputy CEO at BDAT and CEO of Dales Academies Trust, a newly formed Diocesan MAT based in North Yorkshire that BDAT helped set up in 2017. A later entrant to the teaching profession Damian completed his PGCE (Secondary) at the University of York in 1995 and for 17 years taught science and held various leadership posts, including Deputy Headship, in five different schools in Yorkshire, both independent and maintained. He was latterly appointed Director of a cohort 1 Teaching School where he established a successful School Direct provision for ITT students destined for both mainstream and special school settings. 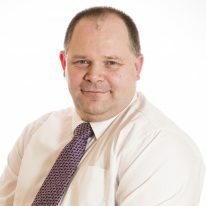 In addition to the delivery of CPD for Alliance schools, Damian also planned and led on a number of DfE funded projects in such areas as Succession planning, Children Looked After, Early Years and Special Educational Needs, as well as coordinating a wide range of school to school support activities through the deployment of NLEs, LLEs and SLEs. 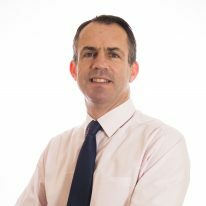 Damian will be working within the BDAT team for two days a week; the balance of his time will be spent in the establishment of the Dales Academy Trust in his capacity as CEO designate. Peter joined BDAT in November 2015. After a full career as a Warfare Officer in the Royal Navy during which he saw much of the world (especially the Gulf and West Indies) and gained a Master’s degree in Defence Studies, he took early retirement and moved to Yorkshire to become the Bursar at Bingley Grammar School. 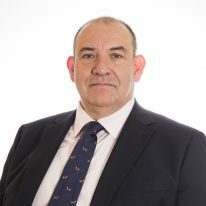 In 2007 he left there to take up the post of Bursar at a small co-educational all-through Independent day and boarding school in North Yorkshire prior to joining Woodhouse Grove School as Operations Director in 2012. Ashley joined BDAT in April 2016. 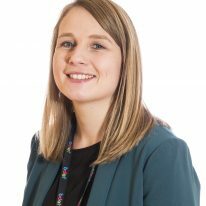 Ashley’s background is 8 years working in public finances being 5 years with the School Funding Team at the Local Authority and laterally with Belle Vue Girls’ Academy as Head of Finance & Facilities. Ashley previously has 20+ years experience working in the commercial sector covering a myriad of roles ranging from Payroll Officer to Finance Director. Ashley chairs the Bradford Secondary Business Managers Forum which meets every half term. In his spare time Ashley is a committed badminton player and coaches badminton at Bradford Kobras Performance Centre to a range of children from 4 years old to 18 years old. Ashley also is chairman of the Bradford & District Badminton League which he has been involved with for the last 10 years. Craig joined BDAT in September 2016 and as Primary Director has led the strategic educational direction of the Primary Schools. Since 2016 Craig has worked successfully with St Philip’s Primary School, Christ Church Academy and St Oswald’s Primary to all reach Good grades from their latest Ofsted inspections. Craig started his first Headship in 2004. 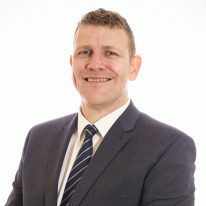 Craig became a National Leader of Education in 2010 and has also been the Executive Principal of an Academy Trust, an Executive Head of 5 schools and still led his own school to an Ofsted outstanding. Craig’s expertise is working with schools in special measures and using data analysis to improve pupil performance. He also has expertise in strategic planning and how CPD and performance management can be used to improve school performance. Helen taught for 32 years in a variety of secondary schools in Rotherham, Wakefield and Essex. She held a wide range of roles including ‘acting headship’. 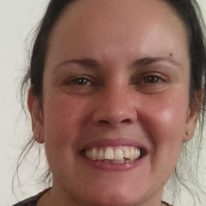 In 2006 she returned North to take up a post as a school improvement officer in Bradford specialising in working with schools facing challenging circumstances and developing leadership capacity in schools. This lasted until March 2015 (9 years). During her time at Bradford, Helen specifically supported Wyke Manor (now Appleton) as school improvement partner moving the school from SM to satisfactory; Immanuel College (from SM to good), Queensbury (from SM to Satisfactory with good leadership), and Feversham College from (Good to outstanding). In 2011 as part of this role, the secondary heads in Bradford requested that the Local Authority second Helen to act as the Operational Director for the newly formed Bradford Secondary Partnership. In this role Helen project managed all the work of the Partnership including coordinating the successful and rigorous self-review programme which all secondary schools in Bradford now participate. In this role Helen participated in over 150 school reviews led by OFSTED ex-HMIs or active inspectors. Helen also led the leadership development work embedding the NCTL system leadership programmes and Teaching Leaders work in the City. As part of her BP work, Helen also brokered and directly provided emergency school leadership support for Kings, Laisterdyke and Tong High school. On retirement from this role in April 2015, Helen established her own company specialising in advising secondary schools with a particular emphasis on providing support to senior and middle leaders and acting as the external consultant for governors who are carrying out Headteacher appraisal. She also serves as a governor on two school boards. For the past 4 years Katie has been the Head of ITT at Bradford Birth to 19 SCITT. In 2014, Katie set up a primary ITT provision which currently trains over 60 student teachers each year and in 2018 this was extended to include secondary provision. Prior to this, Katie was the Regional Lead for Teach First at Sheffield Hallam University and previously held appointments at Leeds Beckett, Leeds University and the University of Bristol; she started out as a Teacher of Science and in this guise was part of the writing team for the National Strategies and a consultant for the BBC. Katie is currently a Research Lead for the Bradford Research School which involves writing research informed CPD to support the Science Guidance report and it’s delivery. Since joining BDAT as Director of Teaching and Learning in September 2016, Ann has supported the improvement journey of the Primary schools within the Trust. As part of her role she has worked collaboratively with schools to develop a programme of CPD for colleagues which focuses on raising standards of achievement and enhancing the quality of education. Ann has over twenty five years of experience working in education. Her career has involved roles within Wakefield and Bradford local authorities. She has worked as an improvement professional, a school leader, a consultant and as a classroom practitioner. As a Head Teacher and as a Vice Principal, she effectively secured the necessary and rapid improvements that were needed to enable the academy to be judged by Ofsted as moving from satisfactory to good in all areas within two years. Reem joined the Central Team in January 2019. Reem has worked at East Morton CE Primary School for 15 years and became involved with BDAT when East Morton joined the MAT in November 2017. 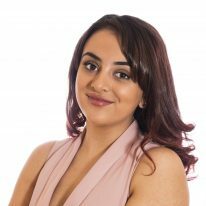 Reem’s role in school includes EYFS and Key Stage 1 Leader; Reem has also represented the Local Authority as an EYFS moderator for six years. Reem has provided CPD to staff in school and has supported Early Years leaders in other schools; her support has focused around assessment, classroom provision, challenge, phonics and planning. Reem is an SLE for Eden Teaching School Alliance, where support has implemented a change in pedagogy and developed settings that are engaging, purposeful and challenging. Alongside EYFS and Key Stage 1, Reem is responsible for Teaching and Learning across school focusing on a broad and balanced curriculum, assessment of foundation subjects and supporting other foundation subject leaders. In January 2019 Reem added capacity to the Primary Team, when she was seconded to BDAT as Assistant Director of Teaching and Learning for two days per week whilst continuing her role in school. 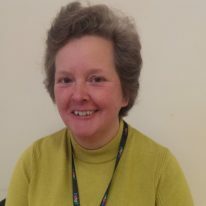 Barbara joined BDAT in March 2018 after working at Bradford Forster Academy since it opened in September 2015. She is an experienced PA and provides support to the Chief Executive Officer, as well as overseeing management of the office. 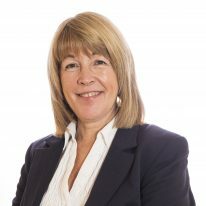 Prior to working at Bradford Forster Academy, Barbara worked as PA to the Principal and Clerk to the Governing Body at an academy in Keighley for 9 years. Trained as an HR Officer, Barbara worked for a Housing Association in Bradford for over 11 years. She is used to working to tight deadlines, working under considerable pressure, but always remains professional and optimistic. Barbara will be the main link between the Trust, Academies and its staff, providing help, advice and support as and when required. Victoria joined BDAT in April 2015 to support the Trust Board and its local governing bodies of the academies. 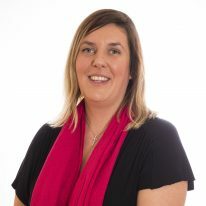 Victoria has experience of providing clerking support to a number of governing bodies within the district and brings these skills to BDAT in order to provide support to the Trustees and governors in ensuring the effective functioning of the local governing bodies by providing quality assurance, Ofsted and DfE standard minutes and compliance. Prior to her appointment Victoria was an Appeals and Admissions Officer at the School Admissions Team within Bradford Local Authority. She has over 10 years experience in dealing with numerous stakeholders to ensure placement of pupils into education within the district. Victoria bring with her knowledge of admissions and appeals procedures and policy. Prior to this Victoria was employed as Crown Court Clerk at a Criminal Law Firm where she acted as brief to Council in Criminal Crown Court proceedings. Aimee joined BDAT in February 2019 and provides an efficient reception service to callers and visitors to the office. She also assists with day to day support to the Central Team. 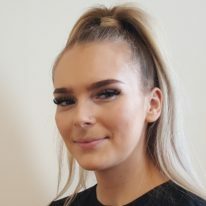 Danielle joined BDAT in July 2018 from Carlton Bolling College, where she was the Academic Support Officer within the Post 16 provision. 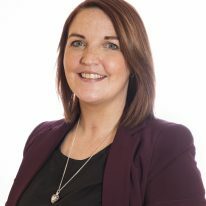 She has over five years’ experience within Secondary Education settings specialising in attendance and attainment of Post 16 students, as well as supporting them in their Post 18 aspirations. Prior to this she spent eight years in a senior administration role within the private sector, providing high quality finance administration support and customer service to their nationwide contracts. Danielle supports the Governance Manager and works closely with the Governing Boards throughout the Trust. Beth joined BDAT in October 2017 as the Trust’s Business and Finance Apprentice. Following the completion of her Business Administration Apprenticeship in October 2018, Beth now holds a permanent position in the Trust as Finance and Business Assistant. Due to the development of her role, Beth is also undertaking a Level 2 AAT Accountancy course which she hopes to complete over the next 18 months. Beth supports the Central Team in day to day activities including being involved in all business and finance aspects of the Central Trust. As a former student of Immanuel College, Beth enjoys working closely with the schools within the Trust. 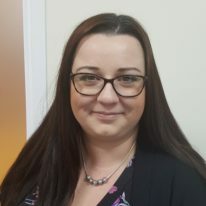 Lisa joined BDAT in April 2016 from Bradford University, Faculty of Management & Law where she worked for over 11 years, her most recent post being that of Purchasing & Finance Administrator. Lisa is a qualified Accounting Technician, having achieved the Level 4 Diploma with the AAT in 2011. Lisa has experience in purchasing, assisting in the production of monthly management accounts and advising on financial policies and procedures. She has excellent inter-personal skills and enjoys building relationships with new colleagues. Lisa works closely with the Trust Finance Director and is the link between the Trust and the Academies, providing advice and support when needed. Trudy joined BDAT in September 2016 from the Marie Curie Hospice where she worked as the Patient Administration Coordinator. Trudy’s role as Education Support Officer involves looking after key areas such as Ofsted, data analysis and recruitment and retention. Trudy also acts as PA for the Directors of Education. Trudy completed her NVQ Level 4 in Business Administration in December 2017. 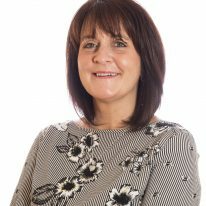 Trudy has over 15 years of Administration experience, 6 of which she spent in both primary and secondary school settings in a variety of roles including; data management, PA/Secretarial and premises management. Trudy is a conscientious, professional administrator who has experience working to tight deadlines and working under considerable pressure. 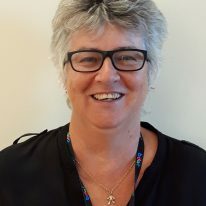 Trudy is pleased to be working in education again and enjoys working both within the BDAT office and within our schools. Helen has recently joined the operations team tasked in assisting schools to look after and develop their premises to support effective teaching and learning. Helen has a BSc in Building Surveying and associated professional qualifications around premise management. Her previous role was as Property Manager at the Diocese of Leeds, where she spent over 14 years supporting 200+ schools across the Diocese including academies. Previous to this she worked in Wakefield LA for 17 years in their Design Unit, finally heading up the Surveying team covering all types of buildings, including schools and managing a team of over 20 Asbestos, Asset, Building, Structural and Land Surveyors. In her spare time she enjoys all things outdoors especially camping and adventurous activities.